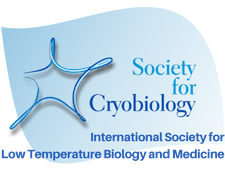 Ken joined the Society for Cryobiology in 1982 and was elected a Fellow in 2012. Ken Storey holds the Canada Research Chair in Molecular Physiology at Carleton University in Ottawa and is an elected Fellow of the Royal Society of Canada. He received his BSc Biochemistry from the University of Calgary (1971) and his PhD Zoology from the University of British Columbia (1974) and joined Carleton University in 1979 where he is a Full Professor in the Institute of Biochemistry with cross-appointments in the Departments of Biology, Chemistry and Neuroscience. Ken’s area of expertise is biochemical adaptation and for over 40 years he has explored the diverse molecular mechanisms used by animals to endure and adapt to extreme environmental conditions (e.g. too cold, too hot, too dry, no oxygen) that are typically lethal for humans. Much of his research has centered on “life in the cold” and he and his lab have discovered and explored multiple biochemical strategies used by animals for winter survival including analyses of cold hardiness and freeze tolerance by frogs, turtles and insects as well as metabolic adaptations for mammalian hibernation. He is probably best known for his pioneering studies of whole body freezing survival by North American wood frogs (Rana sylvatica) and their ability to endure weeks/months frozen solid during the winter with as much as 65% of total body turned to extracellular ice. His work has ranged over many aspects of metabolic adaptation for freezing survival including regulation of cryoprotectant metabolism, novel freeze-responsive proteins, regulation of enzyme function, and adaptive controls on gene expression, transcription factors, protein translation, cryoprotectant metabolism and antioxidant defences, among others. Another major branch of his research has focused on metabolic rate depression, exploring the molecular controls that support mammalian hibernation, or survival of long-term oxygen deprivation (anaerobiosis) or extreme dehydration (estivation) by animals. His research has identified unifying principles of metabolic control that underlie hypometabolism across phylogeny and, in recent years, these principles are also illuminating the natural answers to multiple goals in biopreservation research including cryopreservation of tissues & organs or extending the viability of donor organs removed for transplantation. Ken is the author of over 850 publications that include over 100 review articles & book chapters and 7 books. For more information, visit www.kenstoreylab.com. To date, Ken has trained 12 postdoctoral fellows, 47 PhD and 70 MSc students and way over 100 undergraduates. 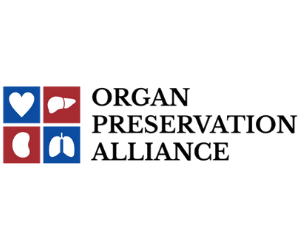 Graduates have gone in many different directions with some who have taken on careers in organ preservation or animal cold hardiness. Dr. Stephen P.J. Brooks, Nutrition Research Division, Health Canada, Ottawa (human microbiome & nutritional supplements).